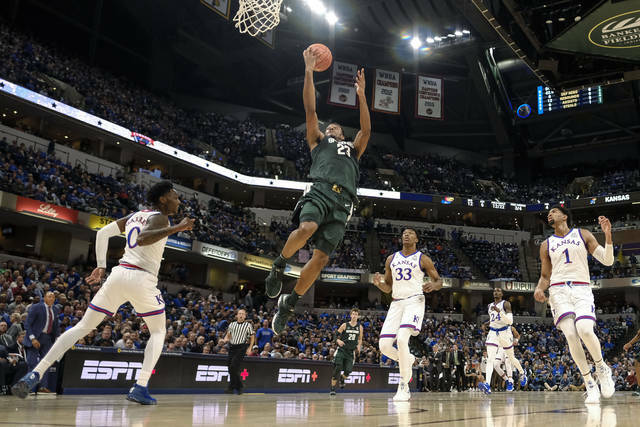 INDIANAPOLIS (AP) — Kansas’ Quentin Grimes and Dedric Lawson made quite an impression Tuesday night. Grimes scored 21 points in his college debut and Lawson added 20 points in his first game with the Jayhawks, helping Kansas stymie No. 10 Michigan State’s late charge for a 92-87 victory in the season-opening Champions Classic. Together, the tag-team tandem stole the show at one of college basketball’s premier events. Kansas picked up its third straight victory in the Classic and improved to 15-1 in openers under coach Bill Self — on a night the Jayhawks were in control almost the entire way. “Obviously, we have to learn to close out games,” Self said. 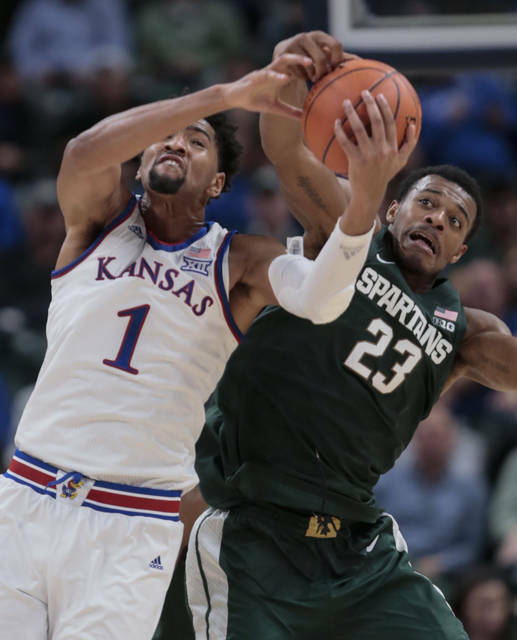 They cut a 10-point deficit to 90-87 when Kyle Ahrens made a 3-pointer with 34 seconds left and could have gotten within two after Kansas’ Devon Dotson missed one of two free throws with 15 seconds to go. 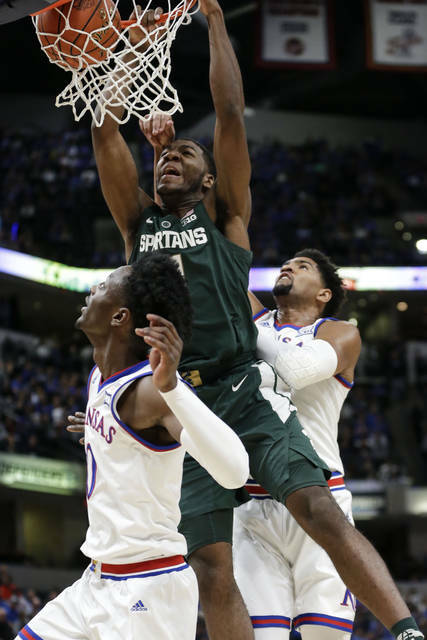 Michigan State: The Spartans’ late surge showed they are capable of going toe to toe against the nation’s top teams. But this one got away from them because of poor free-throw shooting and sloppy overall play — things that need to be cleaned up quickly. Michigan State: Winston had 13 points and 11 assists. Matt McQuaid added 12 points. … The Spartans were outrebounded 42-40 and 11-5 on the offensive end. … Michigan State also committed 18 turnovers and was 23 of 35 from the free-throw line while going 12 of 23 on 3-pointers. … At 3-5 in the classic, Michigan State is the only team under .500. … The Spartans are 4-21 all-time against No. 1 ranked teams.